Water disasters like pipe bursts and sewage backups can mean a lot of trouble for the homeowners in Barker and you’re going to need professional assistance from 911 Restoration Houston to get your home back in shape. Through our quick response, not only are we helping you avoid any further harm to your home, we’re helping your home get back in shape as soon as possible. Once our water damage Barker leak repair team arrives, we’ll conduct a free visual inspection that will help determine the best solutions at the most affordable prices. Our water damage Barker flood extraction technicians are available 24/7/365 to take on those leaks day or night. Our on the day services will get you the help you need exactly when you need it so you can rest assured that we will perform all the work necessary for your home to get a fresh start! One of the most common water damage situations that can affect your home are roof leaks. 911 Restoration’s water damage Barker leak removal team is trained, equipped, and has over three decades worth of experience in repairing this concern. Clean gutters on a regular basis. Clogging due to leaves and debris is one of the main reasons water finds a way to seep into your home. Cleaning helps prevent this happening by keeping water flowing away from your home. Check the roof for any signs of damage. Loose, buckling, curling, or missing shingles are clear signs that your roof has been damaged. Repairing these issues early on can help you prevent leaks from occurring once it starts raining. Check your attic insulation. Excess humidity can also result in roof issues in the form of mold growth. Allow professionals to come in check your home’s insulation. You can expect our water damage Barker leak repair specialists to perform the necessary roof repairs, remove the water stains on the ceiling, and extract water and moisture which will help in preventing mold growth or wood rot. 911 Restoration’s water damage Barker moisture removal team is IICRC certified which means we’ve undergone specialized training to be able to provide only the highest quality of water damage repair and restorations. Our water damage Barker plumbing repair technicians are trained and equipped to be able to take on any kind of leak affecting your home and give you a fresh start! Roof leaks, flooding, and sewage backups are all serious problems that are going to need immediate attention in order to avoid any further harm to your property in the form of flooding, mold growth or wood rot. Our water damage Barker flood extraction specialists will be there within 45 minutes of your emergency call. We work with only your satisfaction in mind. 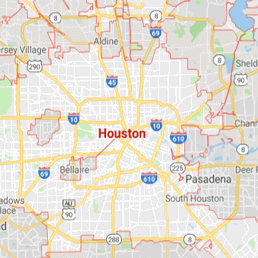 Trust that our team will be able to get your home a fresh start, so give our water damage Barker team with 911 Restoration Houston a call and let us take care of those leaks today!